Download this ★ chocolate cake Photoshop text mockup PSD for free and use it to create a cool text effect. This chocolate cake logo mockup is great for creating sweet food typography in just a few seconds. The chocolate cake text effect PSD is fully customizable and it has all the layers intact. Among my favorite sweet food desserts are biscuits, cakes, cookies, gelatins, ice creams, pastries, pies, puddings and of course tarts. Fruits are used often in dessert courses because of its naturally occurring sweetness. 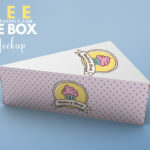 Create a cake text effect in Photoshop with this free mockup PSD. Using the chocolate cake text mockup you can create your own sweet food text in Photoshop. It is really easy and it can be done even by Photoshop beginners! You can edit the text, you can change the font, you can add shapes, you can replace the background and so on. The mockup looks great for text, vector shapes, silhouettes and logos. So, if you want to make your own chocolate cake logo, this free Photoshop PSD file is just the thing you need! You can make all the changes that you want. All the elements are in separate layers, including the dripping chocolate effect. To create a sweet birthday cake text effect in Photoshop is not very difficult but it can take you a while to do it. This mockup will save you a lot of time. As I mentioned before, the PSD has all the layers intact, contains editable smart objects and it is well organized in groups! This freebie contains 1 Photoshop mock-up file containing a chocolate cake text logo creator.